I wonder EXACTLY what is he thinking? He's a trooper though because he actually stayed in one spot as I took pictures. I was living recklessly letting go of the leash, but it worked out. He's learned to endure his bath because he can sniff out the biscuit I hide in my pocket to reward him. It's the "I'm free...shake off"
"The most affectionate creature in the world is a wet dog." The stinker will actually lay in the shade right by the door to come in unless I stay outside. I'm heading up to my parent's summer cabin in southern Utah in a few days and only thought it be polite to all in the car to have a clean pup. Harley will have a week's worth of squirrel chasing time after the 7 hour road trip! 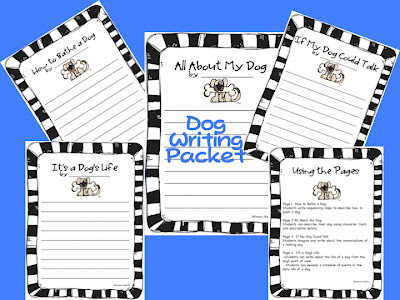 I created this Dog Writing Pack after Harley's bath today. It's the dog days of summer. Have you bathed your dog yet? I'm giving away 2 of my packets in a quick giveaway for my follwers! I would love to win your writing packet. I am listening to my dog mourn my daughter who is on vacation. Next time the dog goes with her! P.S. 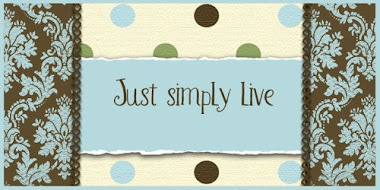 I’m having a linky party and would love for you to come join. Harley is adorable! :) Happy summer!! My dogs just follow me inside regardless. They are little, so it's easier to get by without being noticed! The dog writing unit is sooo cute! I would love to start the school year off with using your unit!!!! We have a rabbit who thinks she is a dog!! Oh.Em.Gee! He is precious! I have to take my dogs to a do-it-yourself dog wash and strap them in! I tried washing them in the backyard when they were pups...I can only imagine trying that now! I also write about my kids (err...dogs) for my modeled writing ALL.THE.TIME! Washing a dog is WAY easier than bathing a cat! Consider yourself lucky! My kiddos would love this activity! My dog really needs a bath, too! Harley is adorable! We have two yellow labs at our house--Cass and Maddie. Cass loves the water and Maddie hates it! Cass would stay outside all day long and Maddie is on your heels to shoot through the door. Funny how they all have their own personalities! Not happy today - so can't leave a happy comment! Sorry - tomorrow will be better! 5 more days of school and then happiness will be aplenty! Stop by my blog sometime. Your dog is so handsome. Hope you are having a relaxing summer. New follower! I am a huge dog lover and always use one of my dogs as a subject when modeling writing. I have three dogs so I have lots of material! I would love to win. Your dog unit looks so cute and my kids would love it! Your dog is beautiful! I am loving your blog! Loving that dog...BEAUTIFUL! My dog would never stand still for pics! Thanks for stopping by my blog this weekend! I love reading your blog, so I'm awarding you the Versatile Blogger award. Check my blog to see the rules you need to follow!! Love your dog! I'm a dog lover too. I have a yellow lab, who's slowing down these days:( I'm your newest follower. I'm awarding you the Versatile Blogger award! Swing on over to check it out!